Every small business owner will need to buy a company car and choosing the best options available can be tricky at first. There are many pros and cons for the various schemes available to buying a company car which shall be examined in this guide for small business owners. As a small business owner, there are many pros and cons to buying a car using a business car lease. We shall look at both the cons and pros to ensure that you understand how a business car lease works before signing up to it. A business car lease will take the full amount of the car that you purchase and then it will factor in the depreciation of the car for the entire period of the lease. The lease covers aspects such as the period of the entire lease, total miles to be covered and the category of the car. It is advised to take out as long a lease as possible, 24-48 months, as the monthly amounts will be lower for a longer leasing period. Normally, an agreed mileage is estimated when sighing a business car lease. A typical business driver will not use all the mileage agreed upon. However, if you do surpass the mileage agreed upon, you will pay a hefty fee as the car will depreciate more. 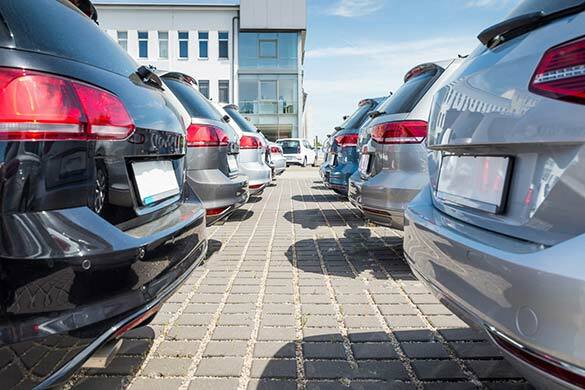 If you are not able to put a deposit down for your business car, then you will pay a larger monthly amount which could jeopardise your business cash flow. A Business Contract Hire permits you to purchase a car for a definite period and then return it at the end of the agreed period. As a small business owner, you will end up paying smaller monthly payments but the car will never be yours. The monthly payments are calculated taking the total miles covered, total period of lease, and the total deposit given into account. A Business Contract Purchase works like a Business Contract Hire where you give the car back after the agreed period but with this lease you can make a balloon payment and keep the car as your own.